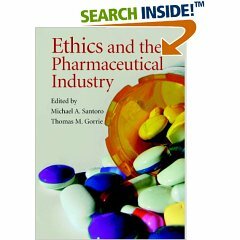 Ethics and the Pharmaceutical Industry: A Contradiction in Terms? Whilst browsing the web at an internet cafe in Athens (Greece), I came across a post on Mad in America entitled Big Pharma Mobilizes Patients in Battle Over Data Transparency (www.madinamerica.com/2013/07/big-pharma-mobilizes-patient-groups-in-battle-over-data-transparency). The post made me think about how patient groups funded by the Big Pharma can be and are being co-opted into the pharmaceutical industry’s agendas and tactics. 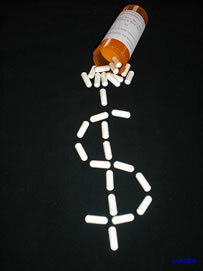 The U.K.’s Guardian reports on a leaked memo from the European Federation of Pharmaceutical Industries and Associations (EFPIA), a major pharma industry trade group, to directors of Roche, Merck, Pfizer, GSK, Astrazeneca, Eli Lilly, Novartis and others, that outlines a campaign to mobilize patient groups to concerns about the proposed requirement that pharma companies publicly release all data from drug trials. “Patient groups get traction because they are assumed to represent the voice of the suffering. 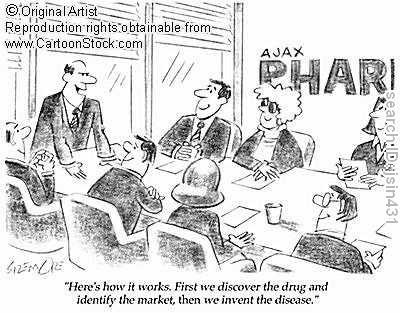 But industry uses them to say we’re not going to get innovative medicines if the industry is deterred from investing by having to be transparent about their clinical trials,” said a representative of Health Action International, a pharma industry watchdog group.